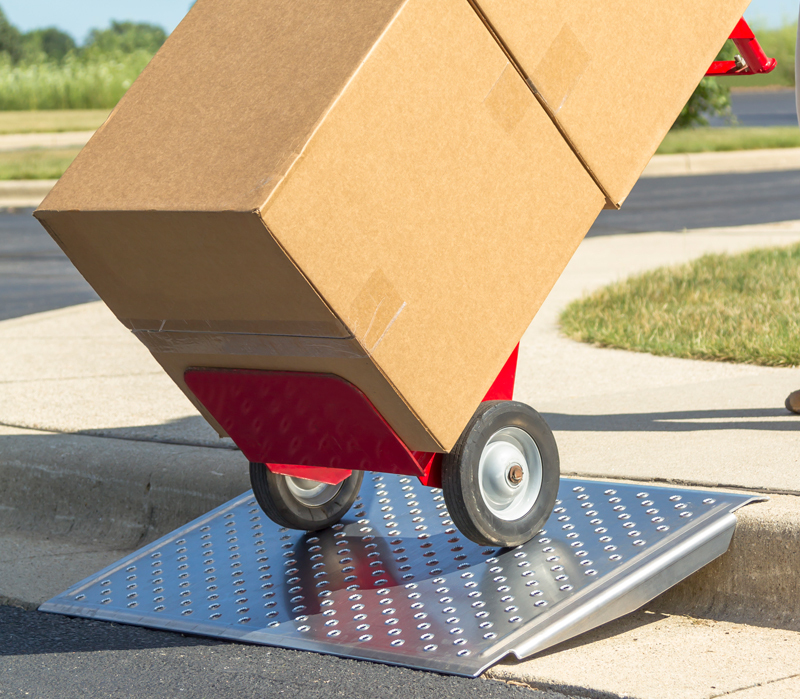 Portable aluminum curb ramps are the perfect solution for accessing curbs and steps up to 8” high. They feature a punch plate design that provides superior traction in all weather conditions. Manufactured from high-strength aluminum these ramps are extremely light weight yet can handle loads up to 750 lbs. The built-in handles make them easy to transport and set-up. The upper handle features a vertical stop, ensuring the ramp stays in place while in use. 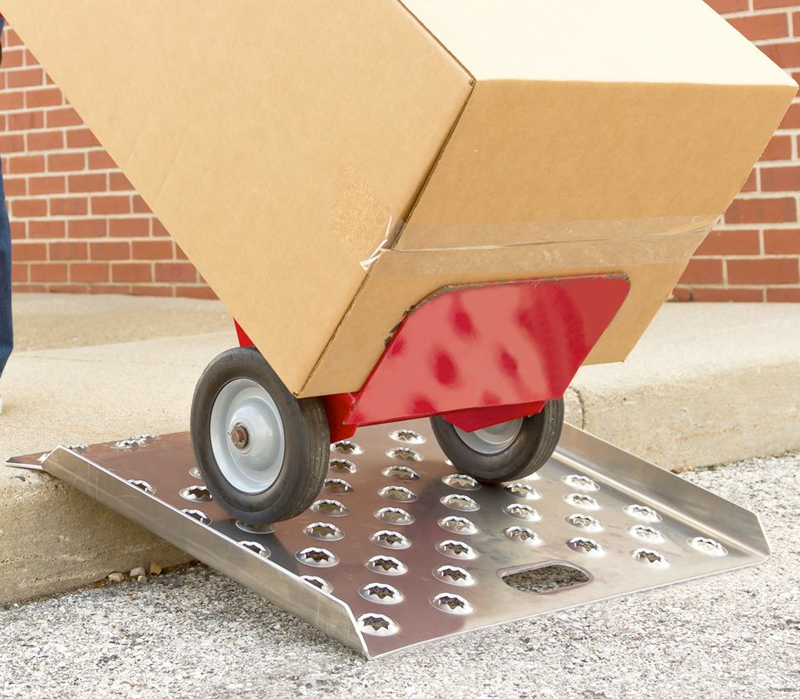 The 1.5″ high side rails keep wheels on track and help to prevent losing loads. 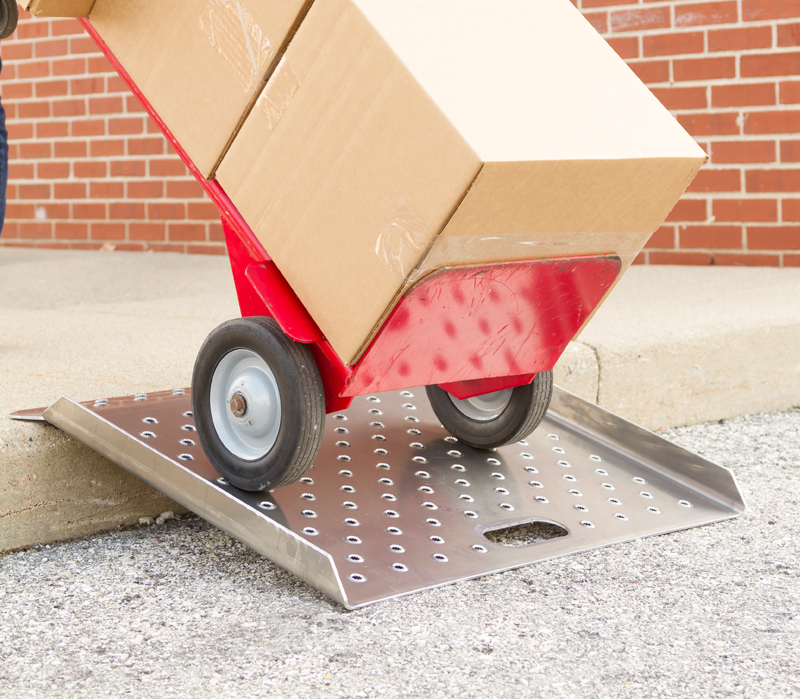 Ramps are offered in a standard punch plate traction surface and an aggressive pattern for all weather use. Available in 3 sizes: 20”x20”, 27”x27” and 36”x36”.